Strathcona Eco Station (5150 99 Street) is closed for renovations and will reopen mid May. Please visit one of our other stations: Ambleside, Coronation or Kennedale. 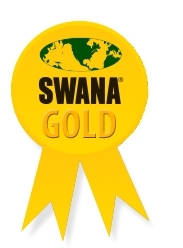 Recipient of a Solid Waste Association of North America (SWANA) "Special Waste Management" 2016 Excellence Award. Eco Station fees as of January 1, 2019. Eco Stations are convenient waste drop-off facilities where you can bring electronics and household hazardous waste like paint, batteries and lights bulbs, and anything that does not belong in your garbage. Cash, Visa, MasterCard, American Express and Interac. Eco Station attendants have final say about the acceptability of items and the charges applied to each load. The following items should be taken to your community police station. Recycling depots, reuse items, free paint and more. List of acceptable commercial items. Roundups for bulky household items that can’t be set out for regular waste collection.